Get red hot car sales leads. 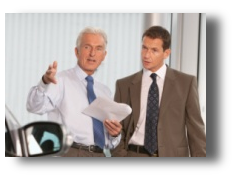 Don’t pay for leads, get car buyers at autobidsonline. Welcome To The Latest, Most Innovative Way To Get Only The Hottest Leads From The Most Serious New Car Buyers... REGISTER NOW! We're AutoBidsOnline.com and studies have shown you spend no less than 1 man-hour for every lead that comes into your Internet Department. And when 90% of those leads are from those who have absolutely no intention of buying a car, that is just a ridiculous level of operational expense and unproductivity! Yet when more than 3 out of every 4 new car buyers turn to the internet to gather information, shop for prices and select their preferred dealer, just how can you make the most out of a seemingly untenable situation? At AutoBidsOnline, we have found the way... we are convincing new car buyers every day it is in their interest to pay a fee to submit their lead online. Think we're crazy? Think again. You get leads from EVERYONE - including online tire-kickers, pranksters, children & worse - you pay for them all!